It seems that barely an hour goes by without another update on the Olympus saga that started with the sacking of Michael Woodford, the company's CEO who had been in the job for just two weeks. Now, in the latest twist in the tale, a former Olympus Employee, Koji Miyata, has called for Michael Woodford to be reinstated in an online petition. Miyata, who was the company's former Senior Executive Managing Officer and the former President of the Medical Systems Corporation, states on his website Olympus GrassRoots that he "cannot sit by passively and witness the demise of a company that I love". Along with the reinstating of Michael Woodford, Miyata also calls for a full apology to the ex-CEO and to "begin working immediately to position Olympus as a world-class model of corporate excellence". According to the website, the petition has received a "larger than expected response". Meanwhile, Reuters reports that shares in Olympus rose 17% from Friday's close after a source claimed that the company is unlikely to be delisted from the stock market. Last week, the Tokyo Stock Exchange warned Olympus that it could face delisting, after 62 years on the stock market, if it failed to report earnings by 14th December after missing the previous 14th November deadline. 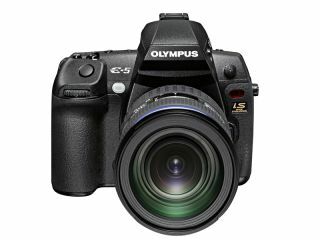 Although Olympus claims it has every intention of meeting the new deadline, one insider now expects that the company would be faced with a fine, rather than delisting. The fourth largest investor in Olympus, Harris Associates, has called for the entire Olympus board to be replaced. Former President Tsuyoshi Kikukawa quit over the scandal, while Vice President Hishashi Mori was fired amid the news that cover-ups had been going on at the company as far back as 1990. Keep following for more on this story as it emerges.